What is the Canon G9X Mark II? The Canon Powershot G9X Mark II is a slim, pocketable compact camera with a 20MP 1-inch sensor and 28-84mm equivalent lens. It combines enthusiast-friendly manual control with heavily touchscreen-driven operation, and costs £449. Once upon a time, Canon was the undisputed market leader in compact cameras for serious photographers. In 2012, however, Sony turned the market upside down with its Cyber-shot DSC-RX100. The first camera with a 1-inch, 20MP sensor, it completely redefined expectations for the image quality obtainable from compact cameras. Canon was the first manufacturer to challenge Sony in this new sector, but its early models including the original PowerShot G9X used seriously underpowered processors. However, now the firm has adopted its latest, much faster Digic 7 processor, which promises to turn the updated Mark II version into a much more attractive option. 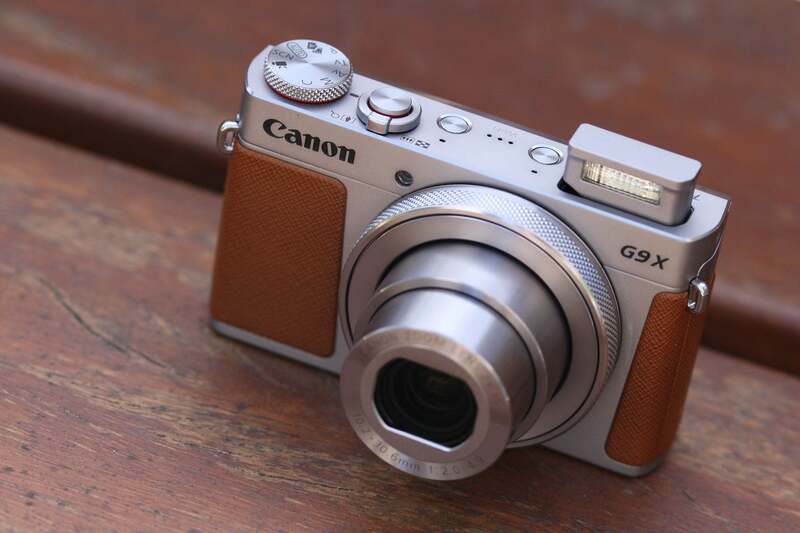 In most respects, the G9X II offers the same feature set as its predecessor. It’s built around a 20.2-million-pixel 1-inch sensor that offers a sensitivity range of ISO 125-12,800, with images recorded in both JPEG and raw formats. A full complement of exposure modes is available, accessed from a top-plate dial. Enthusiast photographers can select from the usual program, shutter priority, aperture priority and manual modes, while a large array of scene modes and full auto mode cater for the needs of novices. Continuous shooting is available at a shade over 8 frames per second, with a very healthy 38-frame buffer when shooting in JPEG, or 21 frames in raw. Compared to the G9X, which achieved less than 1fps in raw, this is a massive improvement. High-speed shooting isn’t necessarily a big deal on this kind of short-zoom pocket camera, but it’s a pointer to the increased performance of the Digic 7 processor. The G9X II can record Full HD video, and a dedicated movie position on the top dial allows you to take full manual control if you want. It’s possible to zoom and refocus the lens during recording, and the touchscreen can be used to adjust exposure settings as well, so no button or dial clicking spoils your soundtrack. But if you’re likely to shoot a lot of video, it’s worth looking at 4K-capable alternatives such as the Panasonic Lumix DC-LX15. In an unheralded but very welcome change, Canon has updated the Mark II’s interface and menus to match its EOS DSLRs. So it now gains the same image-processing options, including the firm’s Picture Style colour modes alongside its Highlight Tone Priority and Auto Lighting Optimiser tonality controls. Crucially this means that if you want to shoot raw, you don’t get locked into the default JPEG processing settings, but instead retain full control over the camera’s colour output. 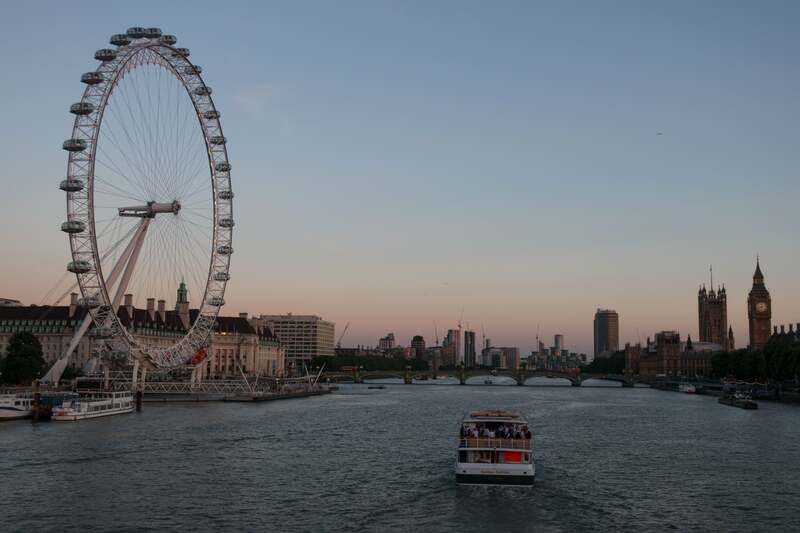 In-camera raw conversion also allows you to tweak your images after shooting before sharing them. Naturally Wi-Fi connectivity is built in, with Canon providing plenty of functionality. The camera can be connected to a smartphone or tablet for sharing images, and there’s even a dedicated button on the side of the camera for this purpose. 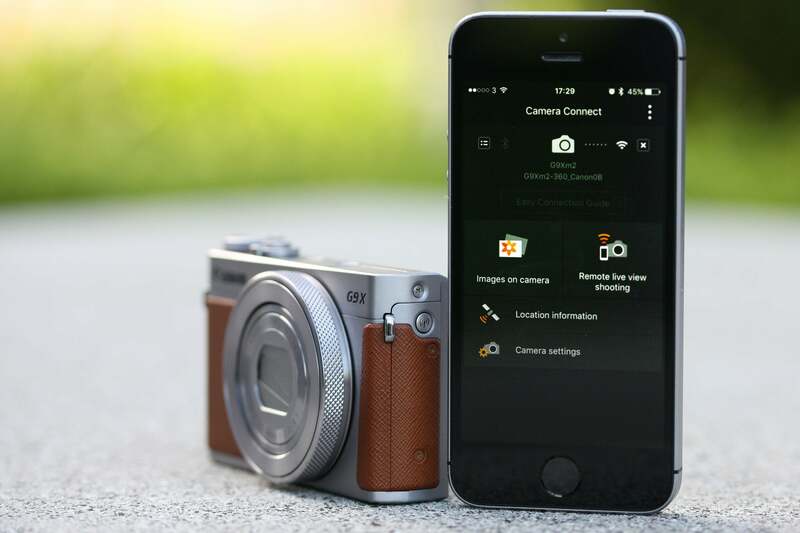 But it’s also possible to control the camera remotely from your phone, transfer images between Canon cameras, or print directly to a Wi-Fi enabled printer using Canon’s free Camera Connect app for Android and iOS. In terms of design, Canon has made barely any changes. 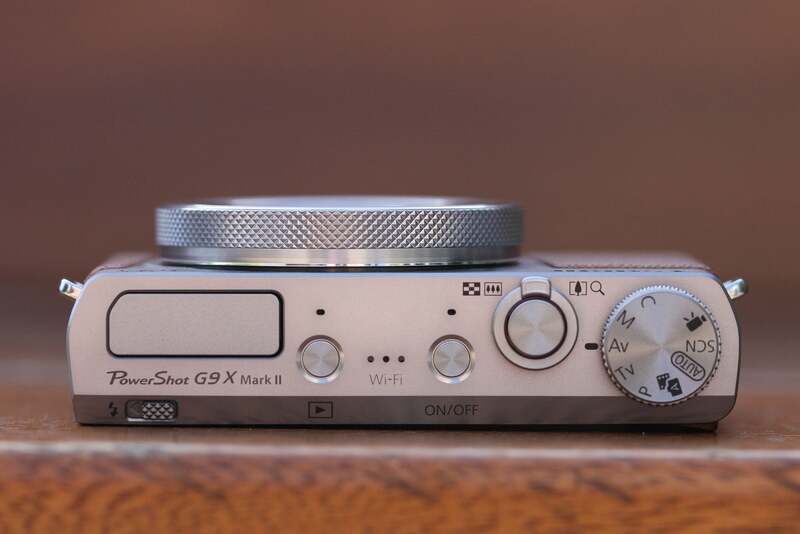 A predominantly metal body shell and milled metal dials make the G9X II feel robust and well-made, and it looks good too, with subtle red accents around the mode dial and shutter button adding a touch of class. However its hard plastic grips are a let down, and while their textured finish provides a secure hold, I can’t help but think that a softer leatherette finish would have been more in keeping with the camera’s premium styling. The G9X II also inherits its predecessor’s control layout, meaning that it’s a very different proposition to its more enthusiast-oriented sibling, the G7X Mark II. It still has a lovely tactile control dial around the lens, but you won’t find a conventional dial or d-pad on the back of the camera. Instead there’s just a simple column of four buttons that control video recording, access the camera’s settings and menus, and change the onscreen information display. 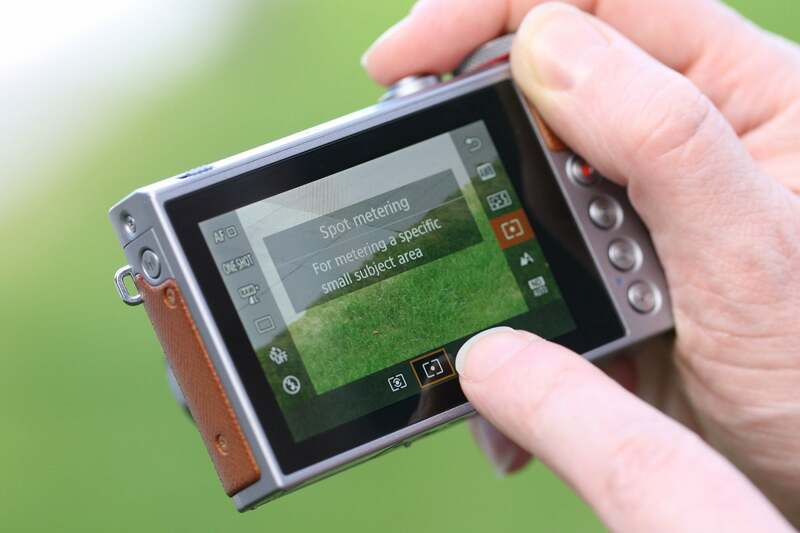 Almost all shooting settings are controlled using the round-lens dial in conjunction with the touchscreen. 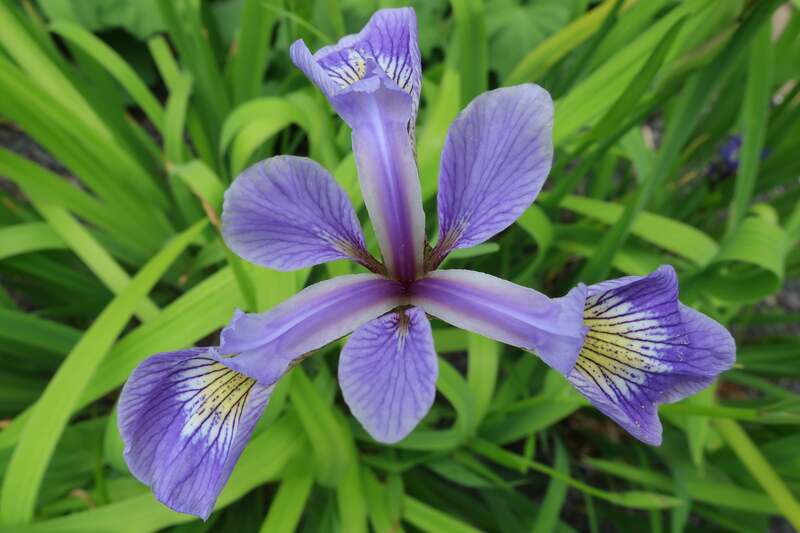 Main exposure settings – shutter speed, aperture, ISO and exposure compensation – are selected by tapping their own on-screen touch buttons, then changed by rotating the lens dial. 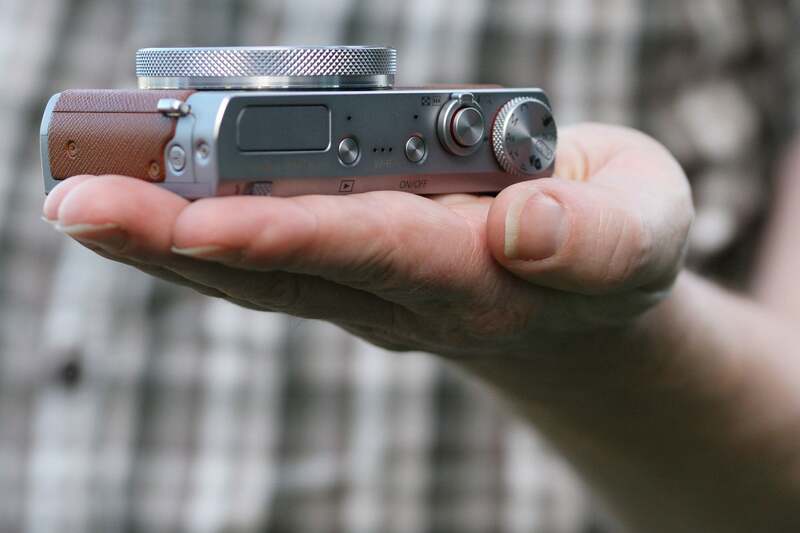 Pressing the Q button on the camera’s back accesses an array of secondary shooting settings, which can be changed either by touch or using the dial. Other onscreen buttons are used to lock the exposure, activate manual focus or turn on the touch shutter control. However, these are quite small and closely spaced, so it’s all too easy to hit the wrong one. On the whole this approach does a good job of placing lots of control at your fingertips, while keeping the camera small and approachable to novice users. But it’s a very different experience to using conventional physical controls, and I can’t say I particularly warmed to it. It’s fine for mainly point-and-shoot operation, but I suspect anyone who changes settings frequently will prefer the PowerShot G7X Mark II. Playing back your images also makes full use of the touchscreen, giving a distinctly smartphone-like experience. Pressing the Q button gives access to a range of editing options, including cropping, resizing and applying image-processing creative filters. However the lack of a physical delete button makes culling your failures a somewhat circuitous process. With a 28-84mm equivalent range and a maximum aperture of f/2-4.9, the G9X II’s lens is rather limited compared to those on other pocket cameras in terms of both compositional flexibility and low-light capability. 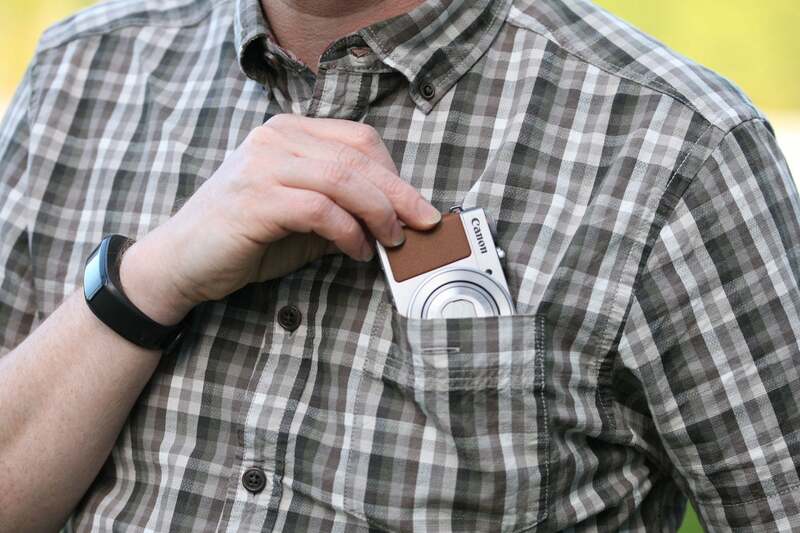 But in return, the G9X II is the slimmest camera of its type: indeed at just 31mm thick it’ll slip easily into a shirt or jeans pocket. A three-stop neutral density filter is built into the lens for shooting with large apertures in bright light, or using shutter speeds for increased motion blur. The ND filter can be engaged manually by the user, or more usefully set to auto so the camera can employ it whenever necessary. It’s probably most useful for conveying an impression of smooth motion during video recording. The G9 X II’s lens is fine for many subjects, but it’s neither very wide nor very long. In terms of optical quality, the lens is pretty sharp at the telephoto end, and quite respectable in the middle of its range. But it’s noticeably weaker at wideangle, with rather soft corners that don’t improve much on stopping down. But you’ll only notice this when printing large or looking at your images at the pixel level onscreen. Close focusing is pretty impressive at the wide end of the zoom, with the camera able to take sharp images of subjects just 5cm from the front of the lens. However at the long end of the zoom, this plummets to a much-less-exciting 35cm. So if you want to shoot close-ups you’ll have to work at wideangle, which can give dramatic results but also messy backgrounds. To be fair this trait is shared by the G9 X II’s competitors too.